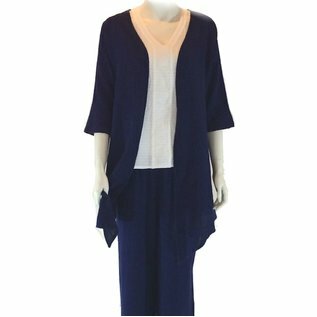 Softly flowing patio outfit in 100% cotton gauze. Easy layers for more coverage in the evening, buy singly or combine with Tammy Pant and Juliann Top. 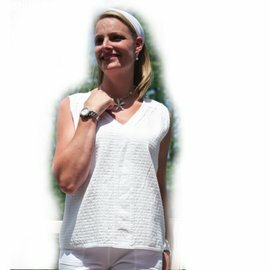 fits true to size: shoulder to back hem 26” drips to 36" at front, sleeve length 16"